The hallway is the first impression that visitors will have of a home, and wood hallway console is specially designed for homeowners that think about decorating this area in a special way. Usually, hallways were empty spaces that do not look very inviting for guests, but that fact started to change when the idea of decorating hallways first showed up. After all, why decorate every space of your home, but leave empty the space that builds the first impression? A stunning looking and unusual coat hanger by Tonin Casa. Decorating hallways started with benches and coat hangers, and initially appeared as a need for storage and functionality. Only after a while, the idea of form over function started gaining terrain, and various shapes and items began filling these spaces. Wood is a multifunctional object designed by Plurimo Design company for Tonin Casa. This piece is mixing two objects in one: a coat hanger and a console table. 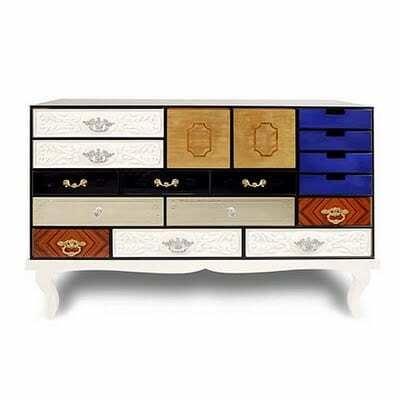 This is simply extraordinary and the ideal piece for any entryway space. An object with a horizontal dimension inspired by a bamboo forest that offers a completely new and fascinating shape. The piece is available in a wide variety of combinations including Canaletto walnut, dark thermal treated or natural oak and matte white lacquer, while its marble top options consist of glossy or matte white Carrara, black Marquina or grey marble. A hallway console can be as decorative as it is functional, and Wood makes no exception to that rule, seeing that it can also be used as a coat hanger. It can be placed strategically throughout a home, serving as a unifying element that ties together the interior style of a home. Tonin Casa designs feature a wide range of distinctive styles to ensure the right selection for any home with a contemporary interior. With a wide variety of products that includes chairs, nightstands, consoles, TV stands, dining tables, coffee tables and mirrors, Tonin Casa stays ahead of all the latest innovations in technologies and materials, offering only high-end furniture with quality and sophistication.